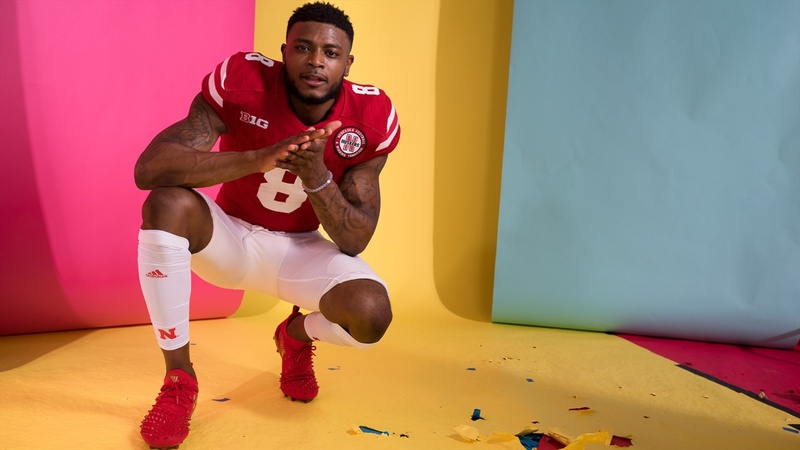 “When you see something new it’s very exciting,” Stanley Morgan Jr. said a few days in advance of the official debut of this new Nebraska offense. It was a good answer to a bad question. Asked by me. During one of those silences that are common to post-practice, scrum-style interviews I tried to fill the gap and asked the Huskers’ senior wide receiver and captain if there was any excitement on his end for everyone else to see what was, at Central Florida at least, a very exciting offense. The Huskers have been honing the Big Red version in earnest for a month now, but at some point the shiny new plays have to find their stage in front of yet another sellout crowd. Morgan turned it into a short but complete discourse on the actual source of excitement. There will be much that’s new when Nebraska welcomes Akron to Lincoln for the first game of the Scott Frost era. Offense and defense? Yes and yes. Tunnel Walk? Yes, somewhat. Quarterback. Yes, to an unprecedented (at Nebraska) degree. Staff. Yes, maybe you heard something about that during the long wait for Saturday. But the biggest question remaining now is will the results be different? I’ve looked for reasons all offseason, just out of due diligence, for reasons the results might not be. Osborne knows not just the buttons but the order in which to push them. So when he says, based on his twice-a-week visits to Nebraska’s practices, that Frost has the combination to the lock that has confounded four different coaches, to varying degrees, over the last 20 years, you listen. Akron won’t provide sufficient evidence to answer that question on Saturday. The Zips were an interesting team in 2017, claiming a division title, playing for a conference championship and winning seven games with a statistical profile closer to that of a five-win team. Quarterback Kato Nelson is dangerous in spurts but still young and sporadic. The Zips’ defense is experienced, didn’t put up great numbers a year ago against the run or the pass and its top-15 interception rate was the result of some good fortune. Those are all part of the reason why the spread for this game is hovering around 26 points. It feels a bit high for a team we last saw losing 56-14 to Iowa, but who knows exactly how Vegas accounts for, what in Nebraska at least, is worth its own hashtag –– the #FrostEffect. I’m not even sure the 2018 season as a whole will be a good and complete measure for that. I do expect Nebraska to do enough to warrant increased expectations in 2019. The Huskers will get better as this season ahead unfolds. When I had to finally arrive at a record prediction for 2018, I bumped the Huskers up a game from my previous 7-5 to 8-4. Why? Because that’s what good coaching does for a team. It leads them to a win or two you wouldn’t pencil out on the back of an envelope. Despite what the projections say –– and I pay a lot of attention to all of them –– I think Nebraska could be favored in seven games this season. To get to eight wins would require no slip ups and one unexpected win. That will come down to the college football coach’s favorite buzzword –– execution. I feel, for the first time in a long time, that Nebraska has a coaching staff able to influence execution rather than simply cite it as the reason for a loss, be it an out-of-nowhere blowout or a run-of-the-mill defeat. I feel that even if this offense isn’t even fully installed yet. He’s right. It’s a good metaphor for any first-week game across college football this weekend, but an excellent one for Nebraska’s first game under Frost, a pristine eight words, which is very hard to do. And it’s the one box I’m most confident the Huskers will check on Saturday. It will be new and it will be exciting. Anything larger than that will come later.